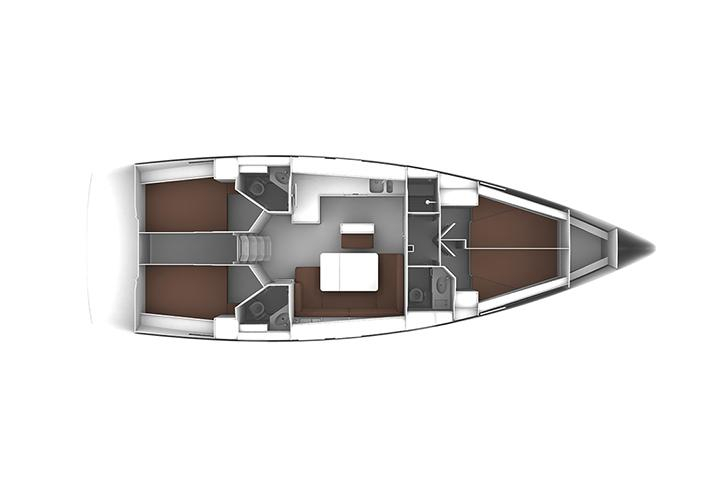 In 2017 has been manufactured vessel Bavaria Cruiser 46 named Aesthisis. She is based in base Athens in the area of Athens in Greece. You can board up to 9 pax on the sailing boat Aesthisis. Configuration of sleeping places is 9 (8+1). There are 4 cabins placed under she's deck. Aesthisis has 3 toilettes with showers. You can get more offers following this link: Yacht charter Athens. 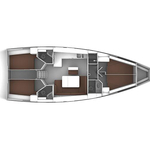 With 14.27 meters of lenght overall and 4.35 meters of beam Aesthisis provides enough space for comfortable sailing. Bavaria Cruiser 46 Aesthisis is equipped with: Radio cd mp3, Bed linen & towels, Bimini top, Teak cockpit, Plotter gps in cockpit, Gps plotter, Outboard engine, Bow thruster, Furling mainsail. . Deposit is 2500.00 EUR. Read about different yachts under this link: Yacht charter Athens.